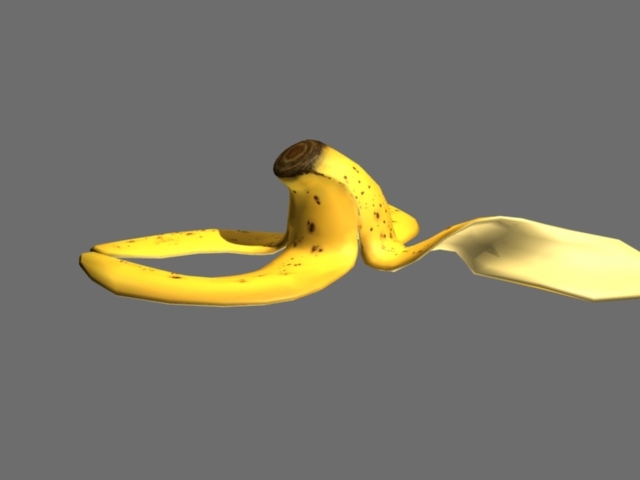 Geoff Ind Animation: Banana Anyone? I sometimes look at what I do in a day and think this is strange. Today is one of those days! At the moment I am teaching texturing at South Seas. Today we have been looking in great detail at banana's, each of our students for homework had to find and bring one in and analyse what makes a banana look like a banana. 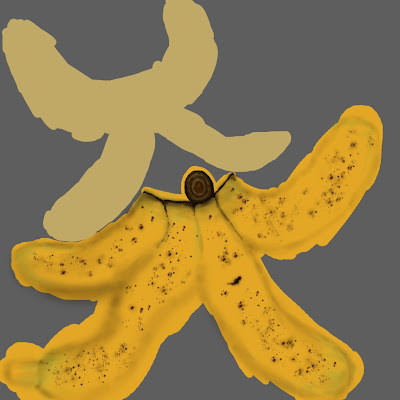 They then have to paint a texture for a 3D banana and infuse all of the gathered banana essence into their textures. All the while I have been demoing the process to them. Here is my results so far, I will update again at the end of the day with the final result of a days worth of texturing! and here is the colour UV map so far.